As founder and CEO of LLT Group, Rahul Wahi knows what it takes to manage all areas of his clients’ businesses. 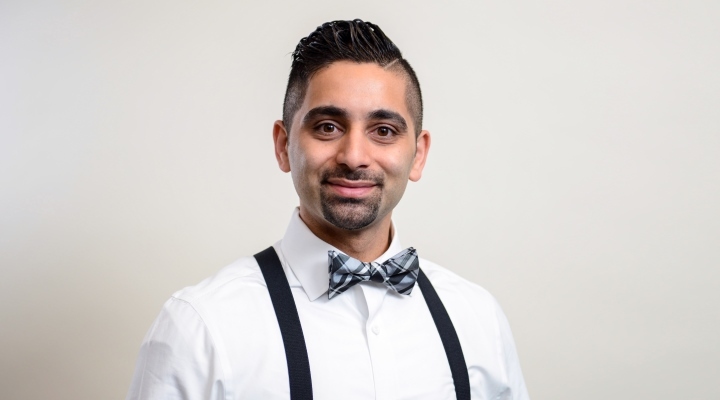 Armed with his bachelor’s degree in Marketing and Management from Eastern Illinois University, Rahul began his career working at a large IT firm in 2008. While there, he focused on branding and digital marketing by bringing a more humanized experience through technology. Rahul stayed in this position for three years before moving out onto his own. LLT Group originally started out in 2011 to address the IT issues that companies had. Rahul noticed other issues his clients were having and in 2015, LLT Group shifted to the digital marketing arena. Everything from research, to branding, to design, to digital marketing, LLT Group, located in Naperville, Illinois, is a full-service creative agency that focuses on the best ideas while bringing powerful results. With four young children, Rahul enjoys his down time with his family. He reads and watches his Chicago sports teams and is a mentor with EO, Entrepreneurs’ Organization. How did you get started and what inspired you to? While I was working in IT, I saw that a lot of business didn’t seem to be truly engaging with different audiences. I wanted to help them get their services or products into the hands of targeted audiences. The problem was they really didn’t understand the digital aspect of marketing and couldn’t keep up with it. I wanted to create a connection between the brand and audience whether that be a brick and mortar store or an online presence. How does the LLT Group make money? By finding the audience and bringing them to the client. That could be through websites, apps, SEO or social media. Solving the problems for clients through technology. From the time you started the LLT Group until now, how long did it take for you to become profitable? We were merely profitable by the end of the first year. Having the passion and belief that this was the thing to do just made it easier to become profitable in a relatively short time. When you were first starting out, was there a time that you doubted this was the right way to go? If so, how did you handle it? Yes. Because at one point we were an IT company, I knew the problems were not just internal. It was bigger than that. You can fix everything inside, but if there is still no revenue or clients, it doesn’t really matter what the internal looks like. Things had to be streamlined to generate revenue first, and then scale and grow the internal pieces. It was actually a previous client from the previous company that I worked for. He was starting a new venture for his product and contacted me through LinkedIn. His was the first site we did and he’s still a customer. In fact, his is one of the fastest growing privately held companies in the country. What is one marketing strategy besides referrals that you’re using really well to generate new business? We use specialized targeting through Google Ad Words. We have an outbound process as well. Those work really well for us. I found myself letting go of a leader for various reasons that didn’t align with the direction we’re going in. Culture is a big focus for our company and being a family-based company, with a strong work/life balance, it was something that needed to be done. What makes us successful at LLT Group is the people. We’re not vendors, we’re partners with our clients. We want to educate those clients and focus on giving them a quality experience. That comes when you have a great team. It’s probably the successes of the people here and our clients. When the clients are able to see the performance after project completion and it’s put them on the next level. The growth and brand elevation that they see from that is very satisfying. What does the future hold for your business, and what are each of you most excited about? The one thing we promise to do is humanize the digital experience. With technology and digital marketing changing all the time, we want to constantly fulfill that promise to our clients. For us, the future is to stay at the forefront of innovation and deliver great brands for our clients. Three of them come to mind. One is “The Challenger Sale”, by Brent Adamson and Matthew Dixon. It’s a great story of how we sell and the kind of client we go after. Another one would be “Scaling Up: How A Few Companies Make It… and Why the Rest Don’t”. It’s by Verne Harnish and tells you how to separate yourself. “Capital Gaines”, by Chip and Joanna Gaines of HGTV fame. It’s a big part of who I am. The book is about a man who builds his family and business at the same time. What is a recent purchase that you’ve made to help with your business? Integrating into Hubspot. That has helped automate sales and the business development process immensely. I measure success by the different milestones that LLT Group achieves, not by numbers. When someone here is able to pay off a loan or buy their first home, to me, that’s a success. We support each other and help others to reach their goals outside of work. It’s great for our culture and just a great thing for anyone or any business to do.